Range in Japan Central to southern Honshu, Kyushu, and Shikoku Is. Date Imported in the end of 19 C (1885-1900). The first record of establishment in Japan was 1961 in Kagoshima Pref. Route Deliberate: Escape from horticulture. Impact Competition against native species. Affected organism: Native herbs in Spring. Introduced range in other countries Used for horticulture worldwide. 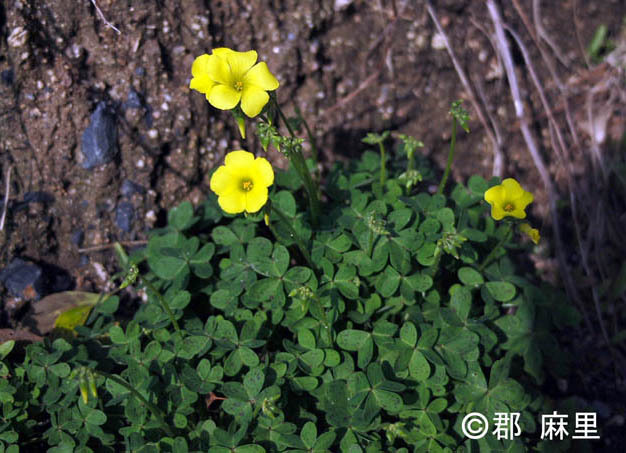 Elmore & Cudney (2002) Pest Notes:Creeping woodsorrel and Bermuda Buttercup. University of California Agriculture and Natural Resources Publication 7444.